As we roll into 2019, many of you are probably looking at some big changes. Maybe you’ve made some New Year’s resolutions. Mine is to help all Boostly Academy members bring in £1million in direct bookings. Do you have any? Maybe one might be to look at a new Property Management System. Maybe you already have a booking engine/PMS and you are looking at moving? I posted out in the Hospitality Community recently to find out the pros and cons of some of the best providers out there. I have taken the results and compiled a report below. You’ve probably heard of Free To Book already since I talk it up a lot on this site. Started in 1998 by Craig Stewart, it’s based in Glasgow and boasts 7,000 customers in 130 countries. As booking engines go, there’s not a better deal in the business – Free To Book’s basic services are free. The channel manager, mobile website, and other bells and whistles cost extra. Free To Book’s customers are overwhelmingly satisfied with it. Their highest praise comes in for Free To Book’s famous customer service. Patricia praises them for allowing her to talk to a real person, and Paul appreciates the “lovely, friendly Scottish girls” who pick up the phone every time. Other hospitality owners, including Kevin and Hans, love how easy Free To Book is to use. Many people I talked to enjoyed the famous low cost of the service – some were even using Free To Book’s basic offerings for free. Gillian, Roseanne and Sharon love how easy it is to get paid, whether through Stripe or FABpay. Finally, Ann loves its mobile access, whereby she can manage her hospitality’s bookings from anywhere. Not everyone was pleased, of course. Ad pointed out that Free To Book doesn’t handle extras and packages particularly well, and a couple people had trouble booking unusual time periods. Hayley reported that she initially had trouble setting a weekly booking rate, a complaint shared by Sharon. John needed help setting a weekly rate, too. However, Hayley and John reported that they both got great help from customer service for this problem. Other users reported that it didn’t necessarily synch with all services, including Farmstay, that they couldn’t vet instant booking guests, and that the dashboard was clunky. By and large, however, my poll of Free To Book’s service showed that people are very happy with its service. See the results below! One of Free To Book’s most serious competitors is Bookalet. This service isn’t free, but if you only have one or two properties, it can still be considered economical. The Lite plan covers up to 2 properties and costs £109 per year plus VAT. If you’ve got more than two properties, you’ll pay higher fees. Of all the people I surveyed, most used Free To Book. That could be one reason that the positive responses I got about Bookalet were so numerous in comparison to the negative ones. There were just too few people for me to find the bad experiences. Nevertheless, it was quite impressive that almost nobody who used Bookalet had a bad experience. Of everyone who gave me feedback about Bookalet, 70% said that their favourite part about it was its ease of use. Michaela even said that she’d never tried another system! Other praise came in for Bookalet’s professional interface and dedicated design. In fact, there was only one complaint about this booking engine: that there should be more service reps.
Supercontrol started in 2007 as a booking engine dedicated to self-catering holiday rentals. It was founded by Robert and Melinda Kennedy, who themselves ran holiday cottages beginning in 1999. The business’s growth has seen it become a preferred partner of Booking.com and HomeAway, and they have an international office in Poland. So here we have a booking engine that’s gotten quite large fairly quickly. Fans like Diana, Lindsey, and David like how it integrates with websites and calendars to great a seamless experience. David liked the report functionality, too, and Lindsey appreciated the ease of payment. However, Supercontrol had the highest percentage of negative responses of any booking engine in my poll. People complained that it was hard to set up, that it didn’t care about its customers. Even people who liked it admitted that it had flaws that they were content to overlook while it was useful for their business needs. Last but not least, eviivo is among the most popular booking engines in use in the small hospitality world. Rentals of all sizes may use it to book guests. Like the other services we’re spotlighting here today, eviivo is UK-based and provides a channel manager, payment support, and other useful extras to its users. eviivo is another booking engine that respondents said was easy to use. Debbie and Ed both liked the diary feature very much, and Caroline confirmed that the diary makes it very easy to prevent double bookings. 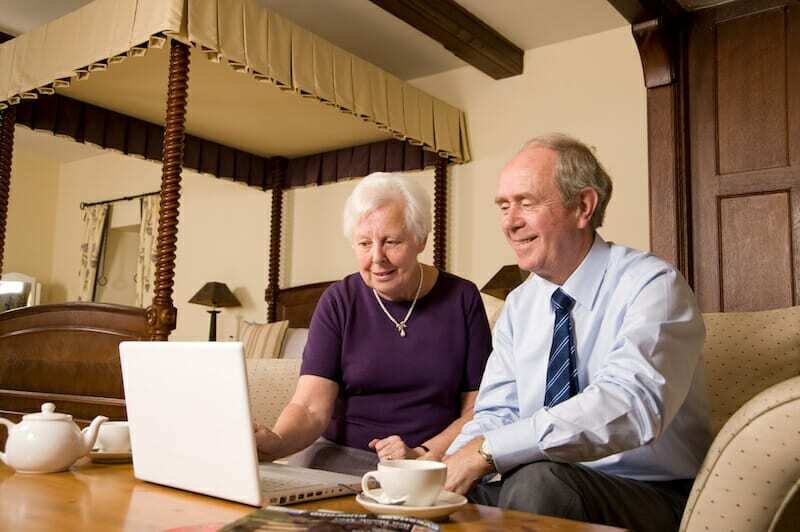 Ed and Barbara both really loved the card verification feature, too, and the fact that eviivo doesn’t charge a commission when you book through your own site was very popular. This was another booking engine that got few complaints from our seven respondents. Emma appreciated the ease of use but told me that it was pricey for the value. Nicki also found that there were limitations on eviivo’s website format that she didn’t like. These booking engines provide an invaluable service. Each one will fit certain businesses better than others, but they’ll all help you manage your bookings far more efficiently than you could do on your own. At the end of the day, efficiency means time, and time means money! If you’re still lost on booking engines, why not contact me? My email is mark@boostly.co.uk and I’ll point you in the right direction.